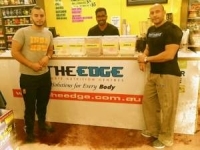 The Edge Sports Supplements was founded in Sydney Australia October 1998. In the early days we started small, but what we lacked in size we made up with an attitude & work ethic second to none. Our vision was to build the most customer friendly store so we can provide the best products and services. Now with our bulk buying power we are able to offer discounts on all of our supplement range. We strive to build a lifelong supportive relationship with you, our customer and put you at the center of what we do. From processing your orders to answering your queries online or over the phone and to finally getting the product to your doorstep we strive for perfection, and customer satisfaction. 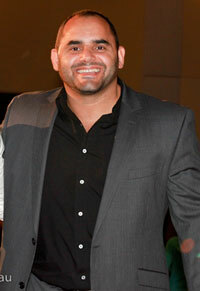 The Edge was founded by Rab Mehajer who was an Olympic weight lifter during and a champion bodybuilder in his youth. Rab is also a qualified personal trainer. The Edge Supplements was established to address a clear problem that needed to be solved, “Quality supplements that work at an affordable price!” Both Rab and the staff at Edge Supplements help all different kinds of athletes, from those who needed to lose weight, to those who want to gain muscle or compete in bodybuilding competitions. Even before the wide use of the internet the Edge Supplements had established itself as a brand name that people could trust. The dedicated staff at the Edge must have done something right as the company still exists nearly 2 decades later. With the help of our website we can reach many more sports athletes that need our help and support. To build the most customer friendly store so we can provide the best products and services. Provide the tools necessary to help you reach your goal. If you are struggling to achieve your fitness goals we’ve got you covered. We have helped thousands of our customers in the past and we will continue to do so with you. With our new website we are now able to offer you the widest choice of quality supplements at discount prices. We have made a special effort to customize our services to suit your needs. And we now have more staff than ever before constantly trying to help you in every way possible. 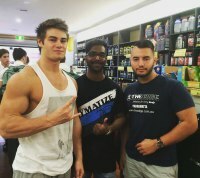 Today The Edge Sports Supplements is the most trusted retailer of Sports Nutrition Supplements in Australia. So our commitment to you, our most valued customers is to continue improving, by providing more quality supplements, knowledge, and information. 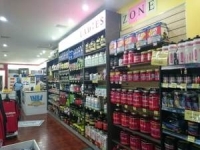 The Edge Parramatta store is also the home for the head office of ICN NSW (iCompete Natural Bodybuiling Association). Team Edge and ICN now lead the way in letting you compete with the best and show case your stellar body at the grandest bodybuilding stage in Australia. Additionally to also be part of the elite group of competitors that is Team ICN Australia traveling around the world. We at the Edge and ICN are more than happy to open doors leading to new pathways by increasing opportunities for recognition from the big Supplement brands. Our goal is to give you all the tools necessary to improve your body inside and out. You now have a choice of being part of the new cult that is the Team Edge. So join us and be sure to follow us on our social channels including Facebook and Instagram, and view the website regularly, to keep up to date with our latest products, and to take advantage of our sale items and all the discounted products. The Edge Sports Supplements we are the Solution for Every Body.